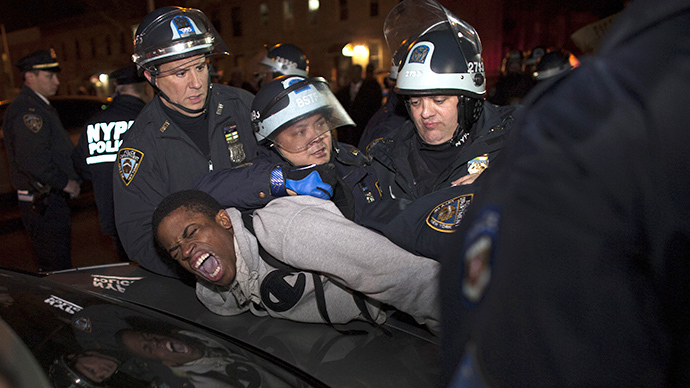 There have been over 1,000 complaints of New York City police misconduct in recent years regarding officers’ use of chokeholds, a city agency that is investigating the incidents said days after a man put into hold by police died in Staten Island. In only nine of the 1,022 instances has the board gathered enough evidence to definitively say a chokehold had been used. In hundreds of other cases, the board did not have enough evidence to make a determination, or the investigations fell apart when the person lodging the allegation could not be reached or stopped cooperating. The review board’s study of the incidents was announced on Saturday, two days after Eric Garner, 43, died when officers appeared to use a chokehold - Police Commissioner Bill Bratton has confirmed - in the process of arresting him on a sidewalk in Staten Island. Garner, father of six who suffered from health problems including severe asthma, argued with officers after they accused him of illegally selling untaxed cigarettes. In the process of subduing Garner, an NYPD officer - Daniel Pantaleo, the New York Times reported - threw his arm around Garner’s neck, holding firmly for several seconds as the much-larger Garner fell to the ground. Several other officers arrived on the scene to put handcuffs on Garner, who can be heard in a recording of the incident repeatedly saying, “I can’t breathe.” Shortly afterwards, Garner, reportedly in cardiac arrest, stopped moving or responding to police. The city’s medical examiner’s office has conducted an autopsy on Garner, which could determine whether the chokehold contributed to his death. Yet the office has yet to release the results. “At this time, no determination has been made by the Medical Examiner’s office as to the cause and manner of death of Eric Garner,” said Julie Bolcer, a spokeswoman for the medical examiner’s office, in a statement. Officer Pantaleo is an eight-year NYPD veteran who was assigned to a plainclothes unit in the 120th Precinct covering northern Staten Island. He is currently under investigation by the Staten Island district attorney’s office and the NYPD’s Internal Affairs Bureau. 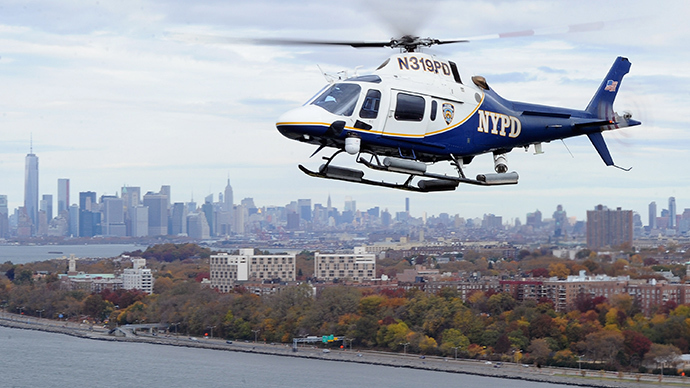 He has been assigned to desk duty since the incident, as the NYPD formally asked for his gun and badge on Saturday. Pantaleo has not publicly commented on the incident thus far. 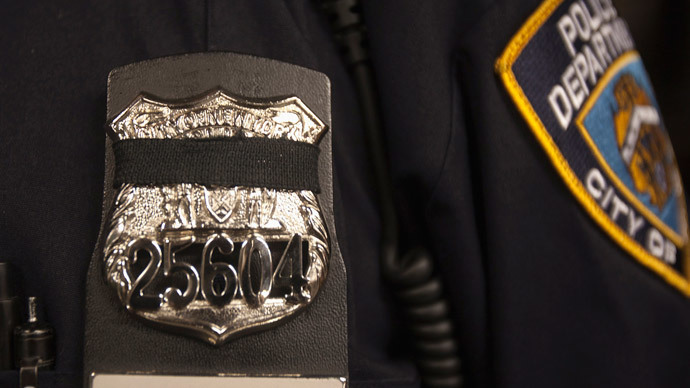 Patrick J. Lynch, president of the Patrolmen’s Benevolent Association, which is representing Pantaleo, criticized the department’s restrictions placed on accused officer. “It is a decision by the department that effectively prejudges this case and denies the officer the very benefit of a doubt that has long been part of the social contract that allows police officers to face the risks of this difficult and complex job,” Lynch said, according to the Times. Since 2013, Pantaleo has been sued for civil rights violations twice in federal court, the Times reported. Mourning relatives and friends of Garner criticized NYPD aggression on Saturday at a rally held at a Staten Island church. Later, attendees marched to the spot where Garner died. “He didn’t die because he stopped breathing on his own, somebody took his breath away,” said Ellisha Flagg, Garner’s sister. She added that her brother did not deserve such treatment for the alleged crime of selling illegal cigarettes. “A cigarette, are you serious?” she said. 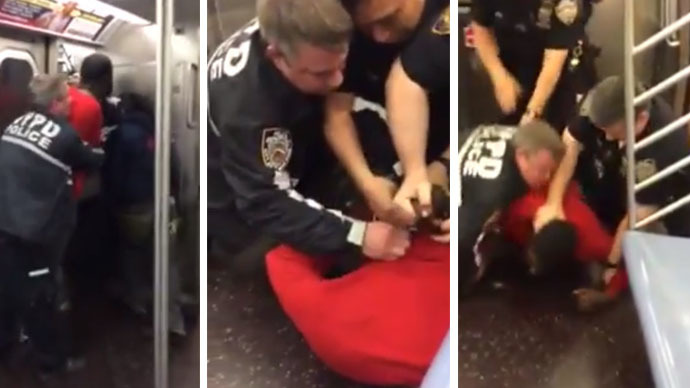 The original video recording of the incident was obtained exclusively by The New York Daily News. 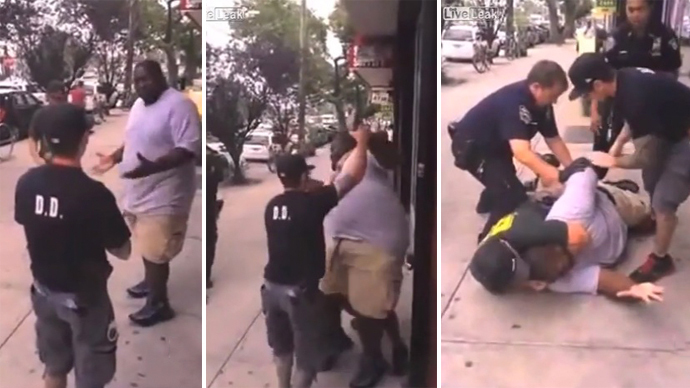 A recording of the aftermath of the incident, in which Garner can be seen lying motionless on the sidewalk, has since surfaced.